No more smuggling weed in tampon tubes and Advil bottles, Sis! LAX recently announced that TSA or LAPD will no longer confiscate marijuana under the legal limits. So book that flight and leave the rest to us! The Line Hotel is set in a restored mid-century building in the Koreatown neighborhood. 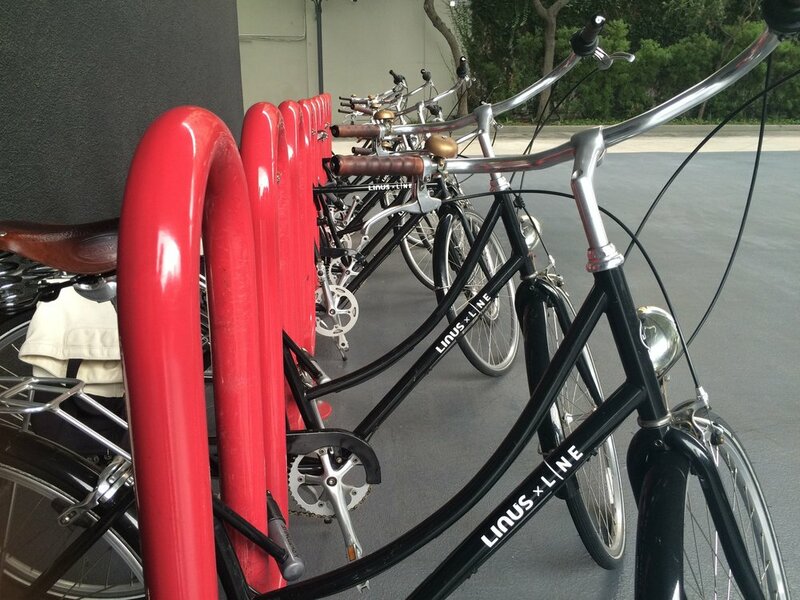 This hip hotel offers complimentary linus x line bicycles, industrial-chic rooms with concrete-patterned wallpaper, funky original art and floor-to-ceiling windows with views of cityscape or Hollywood Hills. As a bonus, the hotel also features free wifi, work desks and chairs upholstered from vintage Mexican fabric. Spark up and take a hike! Enter Runyon Canyon at N. Fuller Avenue for stunning city views + a moderate to intense hike. When it comes to mind-blowing scenery, quirky stop-offs and that wind-in-your-hair serendipitous feeling, the Pacific Coast Highway is it. Start in Santa Monica and head North via the Pacific Coast Highway/Route 1 to Malibu. Mailbu is a world famous surf spot. The great slow waves makes it ideal for surfing lessons. Wrap your hair and jump in! YOLO!! Take a day trip(py) to Joshua Tree, state park located in the dessert valley best known for its serenity. Along the way, make a pit stop at the Cabazon Dinosaur Park(exit 106). While you’re there indulge in an edible and stay a little longer to enjoy the amazing sunset views + night stargazing. LACMA, offers a vast collection spanning from ancient to contemporary art. It’s Instagram famous for Chris Burden’s, The Story of Urban Lights, exhibit. The Broad, contemporary art collection featuring Pop Art by Jeff Koons, Jean Michel Basquiat, Takashi Murakami + many more. Recommend early arrival for a chance to experience Yayoi Kusama's Infinity Room. The Griddle, home of Mama’s French Toast, you won’t regret these calories later. Are you looking for tacos like “Lyft Bae”?! Check out Tacos Delta on Sunset Blvd. Their shrimp and fish tacos are fiyah! Grab a late night bite at L.A. Cafe. I’d recommend the Lobster Grilled Cheese Sandwich. Check out the craft cocktails, leather couches & moody vibe at The Association. The Dime, party known for its red wall and resident + guest djs. Get there early too avoid long line. 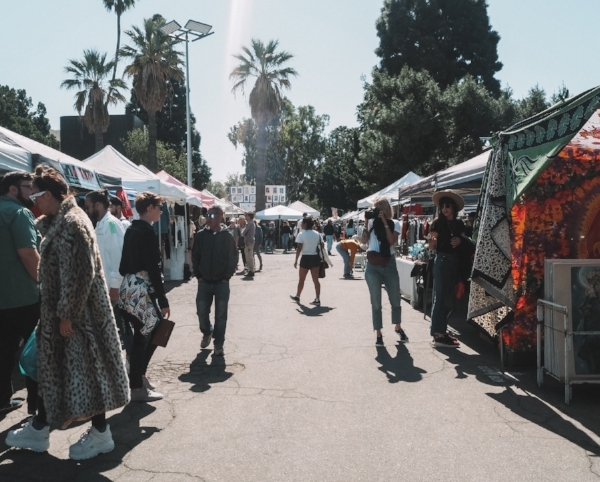 Lock & Key, The Best Sunday Funday party featuring DJ Sean G.
Fairfax Flea Market houses over 200 vendors selling anything from antique furniture to vintage or new clothing, shoes, accessories + more.